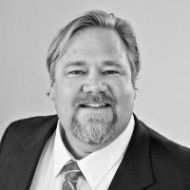 Tony Scow, President and COO at IAS Claim Services, is responsible for operations across all divisions nationally, in addition to managing personnel and assisting in marketing and sales efforts of the company. Prior to his current role as Chief Operating Officer, Tony led IAS’ Third Party Administration division and was instrumental in leading and managing a number of major TPA accounts. His roles in TPA operations included marketing, management of personnel and performance, and financials. In 2007, Tony received the Circle of Excellence Award for leading a top performing branch office based on financial performance, quality and low employee turnover. Tony is also a Certified School Risk Manager (CSRM) through the National Alliance for Insurance Education & Research and has earned a certification as a Zenger-Miller Training Facilitator. Tony received a B.A. degree in Philosophy from Texas A&M University.